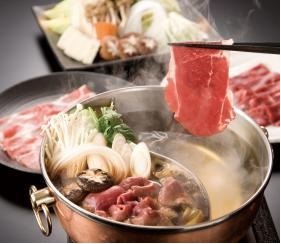 All-you-can-eat Beef, Pork, and Season's Fresh Vegetables! It's a buffet restaurant where you can choose beef, pork, and fresh vegetables to your liking and enjoy as much as you can. In the shop where fresh vegetables are displayed beautifully, people of all ages can enjoy the food to their heart's content.